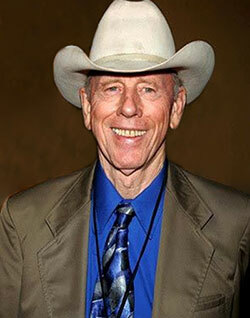 Rance Howard, actor and writer, was born on November 17, 1928 in Duncan, Oklahoma, USA as Harold Engle Beckenholdt. He changed his name when he decided to become an actor. He was married to actress, Jean Speegle Howard until her death in 2000, and then got remarried to Judy Howard. He is known as being the father of Ron Howard, a wonderful and talented director of many movies. But he is most known for his role in A Beautiful Mind (2001), Nebraska (2013), How the Grinch Stole Christmas (2000), and Ed Wood (1994). In addition to these iconic roles, he appeared in hundreds of other movies and television shows over his nearly 60 years in the business, proving himself tp be an amazingly mulit-talented, actor, writer, and director. Death Valey Days (1960-61), The Virginian (1966), Cool Hand Luke (1967), Bonanza (1971-72), Gunsmoke (1970 & 74), The Waltons (1973-75), Little House on the Prairie (1977), Another Man Another Chance (1977), Far and Away (1992), The Cowboy Way (1994), Legend of the Phantom Rider (2002), The Long Ride Home (2003), Miracle at Sage Creek (2005), Ghost Town (2007), and Jonah Hex (2010). Rance has always been and will forever continue to be a good friend to the Reel Cowboys. He brought life to every meeting he attended over the years and always had something uplifiting to say to all he met. He died on November 25, 2017 in Los Angeles, California, USA. You will be missed. Rest in Peace.